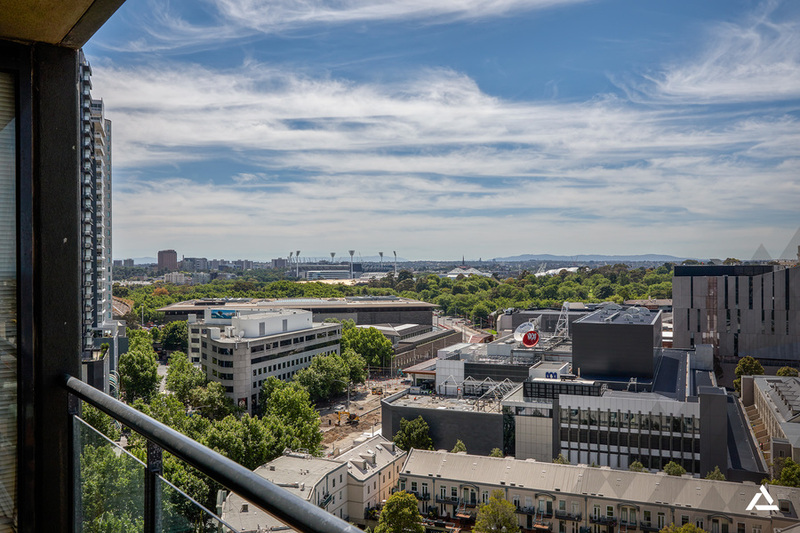 A blue-ribbon address on Kavanagh Street and a corner position within the boutique Yarra Condos building unite with stunning effect in this stylish and spacious Southbank apartment. 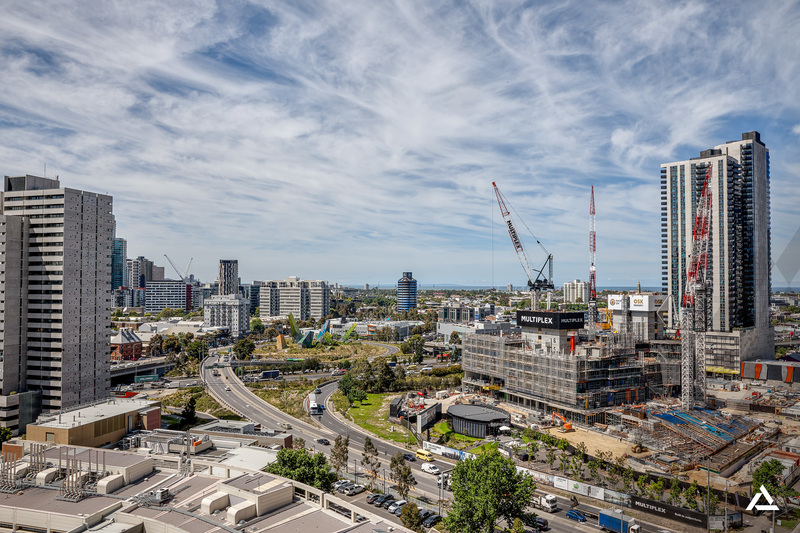 The 16th floor, 2-bedroom domain captures breathtaking views over South Melbourne to the blue of Port Phillip Bay and to Melbourne's iconic MCG in the east. 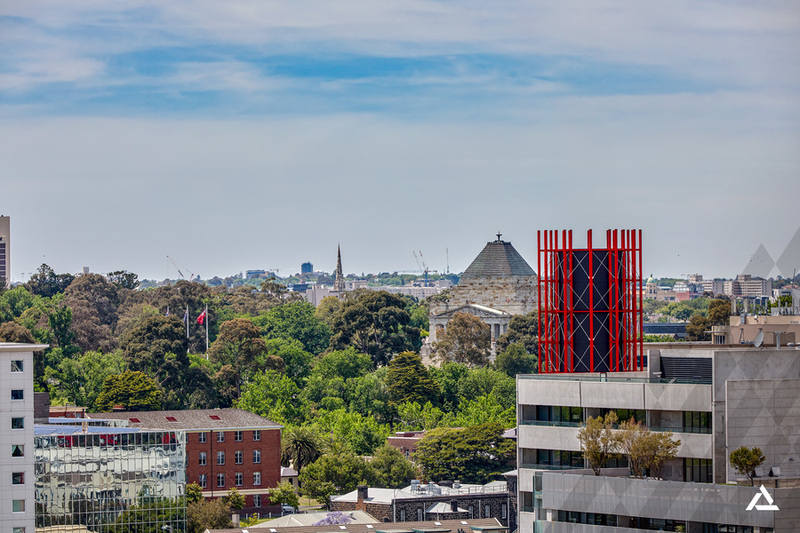 With a boulevard of trees below and Southbank's arts, entertainment and dining precincts steps way, this is an immersion in cosmopolitan sophistication. 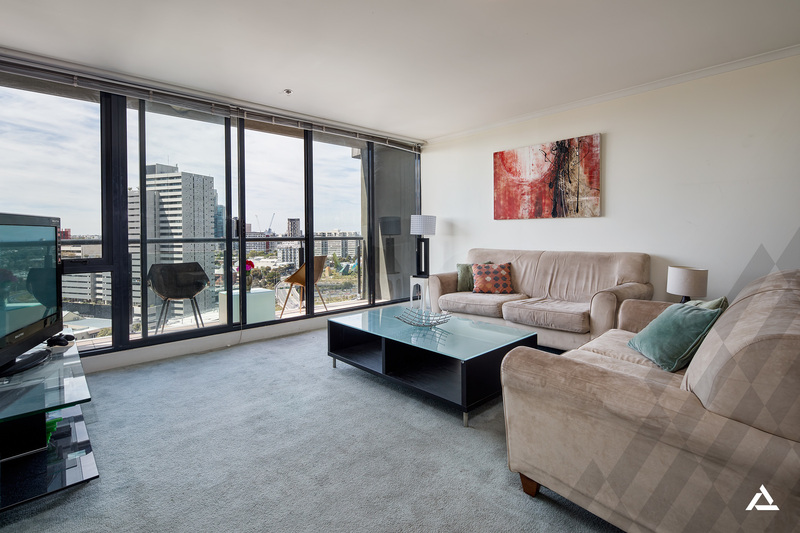 One of Southbank's smaller towers, the Yarra Condos is an ideal escape from the hustle and bustle of city life. 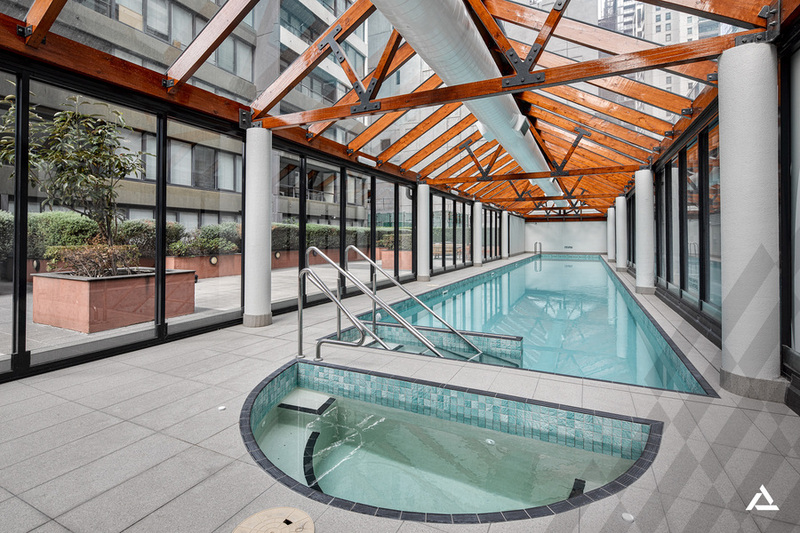 Apartment No.161 is also a premium offering for space-seekers, with a larger floorplan than many other 2-bedroom apartments in the surrounding precinct. It includes a secure car space and intercom entry. The contemporary interior is flooded with natural light from all angles. A spacious open-plan living space spills onto a covered balcony via a wall of floor-to-ceiling glass. Windows and mirrored built-in robes adorn both bedrooms, including a desirable dual set of windows in the corner main bedroom. Bathe in a sparkling central bathroom/laundry featuring a generous shower and a modern vanity. 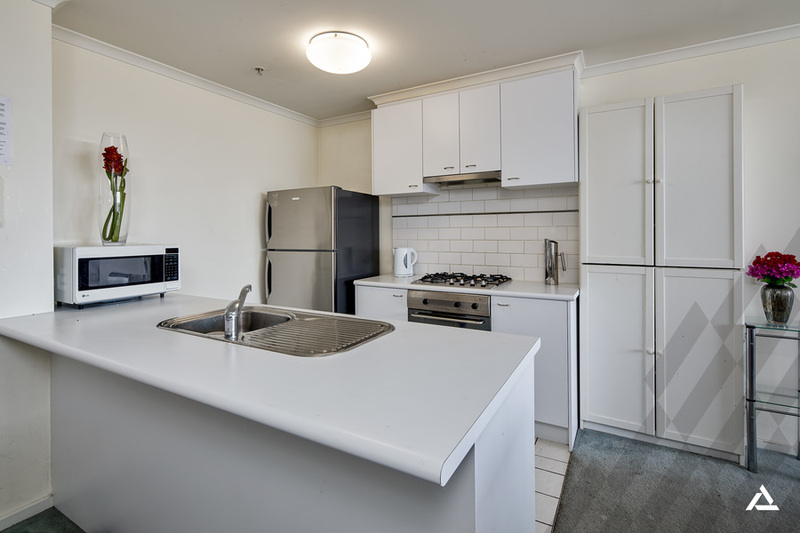 The kitchen features stainless steel appliances, including a gas cooktop, and a breakfast bar. 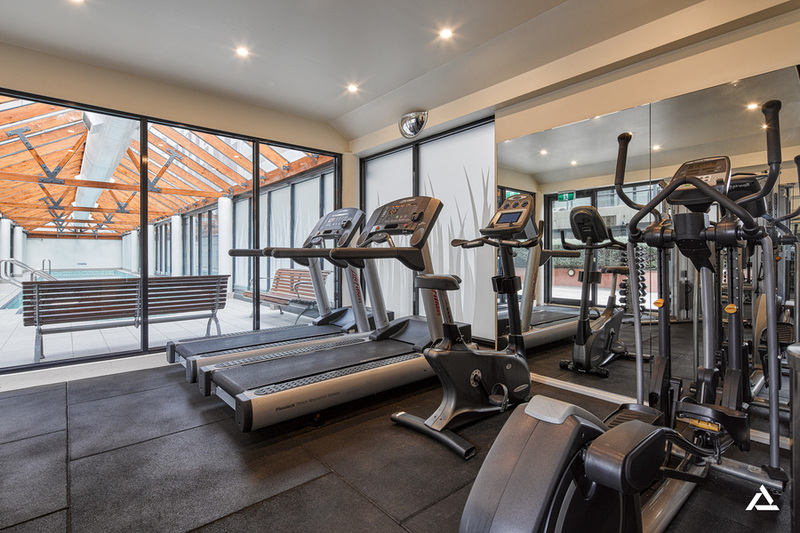 Unwind and energise in recreational facilities including a refurbished glass-topped heated lap pool with spa, a poolside gymnasium and a sunny terrace. 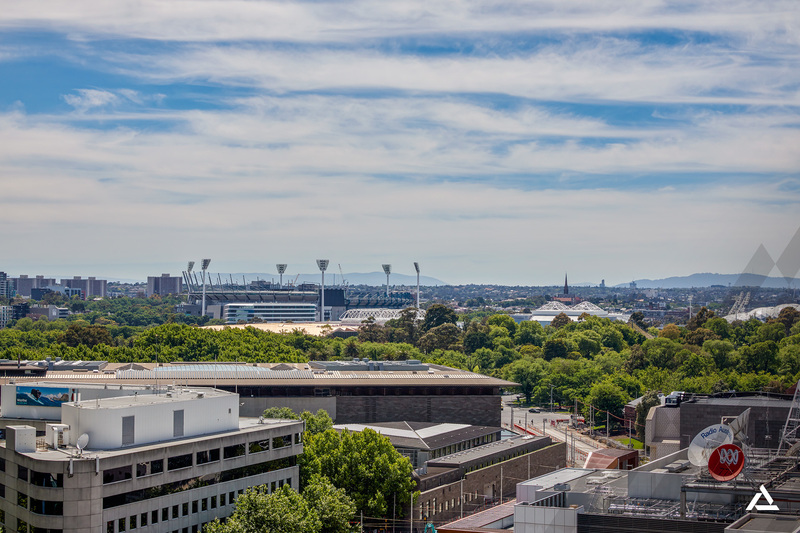 Walk to the theatre, the Arts Centre, the Crown Casino and Entertainment Complex, Southgate shopping, Flinders Street Station and the Royal Botanic Gardens. Glide onto trams with ease at the end of the street. 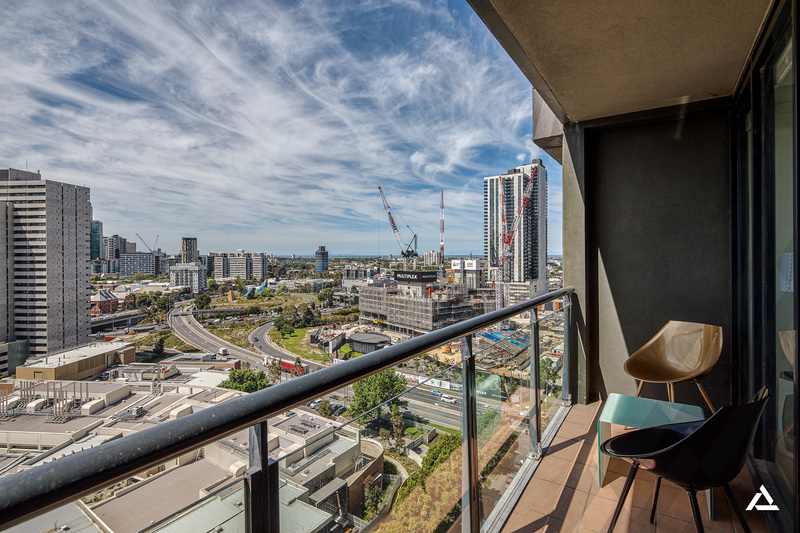 This is where enviable style and a premium location meet.